These step-by-step instructions on how to make reusable beeswax wraps will have you ditching the plastic cling wrap in no time. 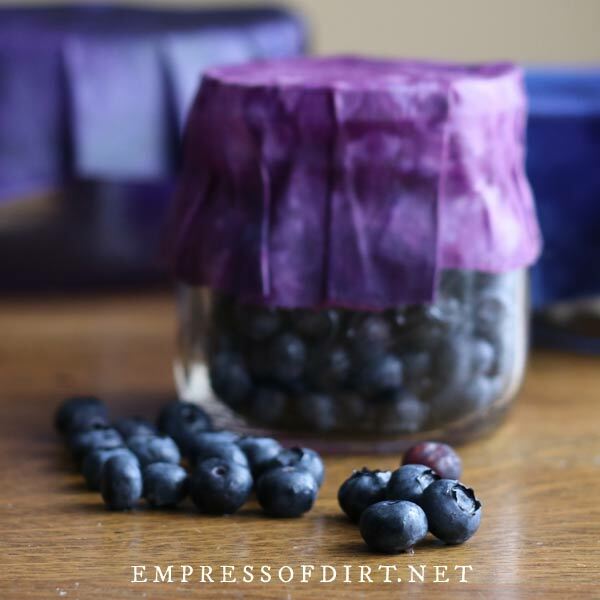 Find out the best supplies to use, how to make your own long-lasting food protectors, and use them for sandwiches and snacks in box lunches and covering leftovers in the fridge. Perfect for the zero-waste home. 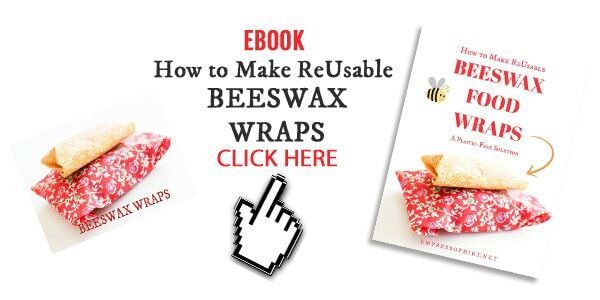 You can make your wraps in an afternoon and use any leftover ingredients for beeswax crafts and household solutions. 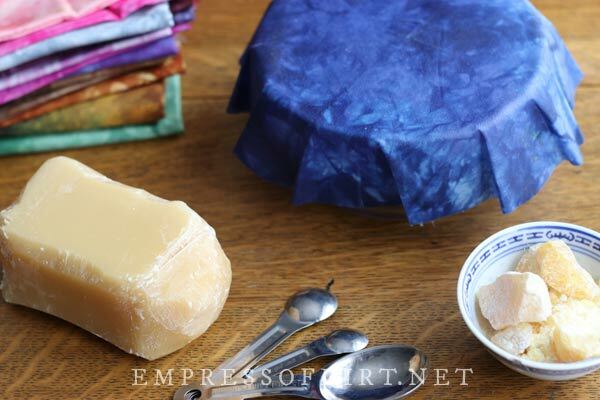 How do you wash and care for beeswax wraps? 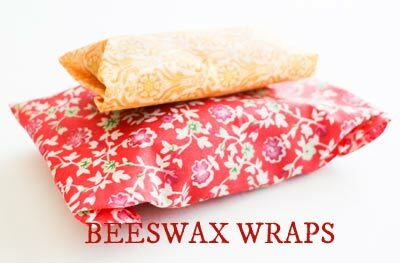 How to you store beeswax wraps? 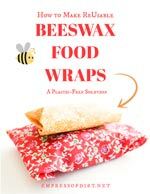 Can you use beeswax wraps in the freezer? Do beeswax wraps go bad/off? Does beeswax have antibacterial properties? Where can I buy beeswax wraps? 11 Buy How to Make Beeswax Wraps ebook here. If you have an Amazon Alexa device, you can enable our Flash Briefing to hear new stories every week with these instructions. 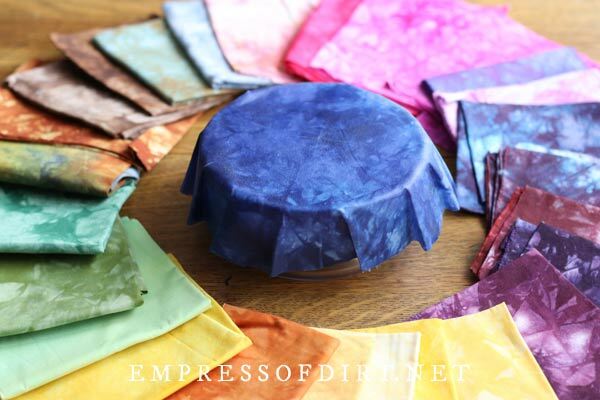 If you are looking for a sustainable alternative to disposable, single-use plastic cling wraps, buying or making some beeswax wraps may be the solution. The natural properties of beeswax—water repellent, antimicrobial, and everlasting (it never goes bad)—make it an excellent choice for this project. The beeswax, along with a few other natural ingredients (pine resin and a plant-based oil) are melted together and brushed on pieces of fabric to form a long-lasting coating with natural cling, making it just right for wrapping food items or covering food storage containers. With plastic pollution at epic levels and few solutions in sight, many of us feel it is worth the effort to change our habits where we can, moving toward more sustainable options. These wraps are not going to save the world or suddenly reverse pollution problems, but they are one small way to put the brakes on daily waste in favour of long-lasting alternatives. The ebook is 32 pages in PDF format which works on any device. Download it instantly for $7.99 US. New to ebooks? Grab a free ebook here to see how it works. 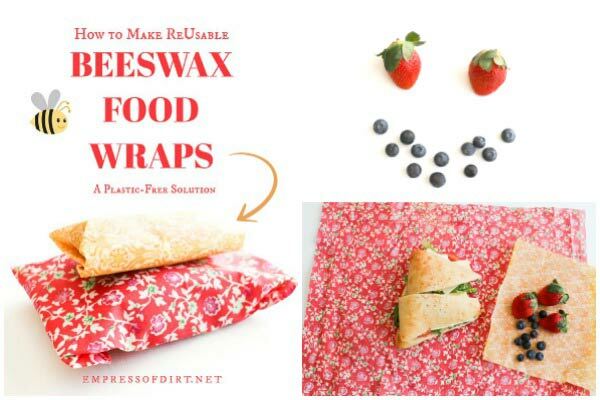 Beeswax wraps are perfect for wrapping a sandwich, fruits and veggies, or other snack foods, or to cover a jar or bowl of leftovers in the fridge. It’s the warmth of your hands that gently melds the wrap in place. Beeswax wraps are not suitable for longer storage of meats or cheeses that require an airtight seal, hot foods, or liquids like soups. With daily use, beeswax wraps will last approximately 6-12 months as the coating gradually wears off. At that point you can easily freshen them up with a new coat and they’re like new again. I love working with beeswax, creating all sorts of craft projects, but the reality is, beeswax can get messy, and it is not always easy to remove from some surfaces. I’ve listed tips for keeping organized while you make the wraps and protecting your work space to minimize the cleanup. 1 Prepare fabric | Wash, dry (to preshrink it), iron, and cut to desired sizes. 2 Melt coating ingredients in a double boiler and brush onto fabric. 3 Fix any imperfections with warm iron (protected with parchment paper). Play the Beeswax Wrap Song! It’s catchy! The Beeswax Wrap song was created by the very musical Peter Tennant. You can follow his adventures here at Ridgewalker Pete. I’ll show the ingredients and where to find supplies. Besides the fabric, pure beeswax is the key ingredient, making the fabric water repellent. This is a natural ingredient produced by honeybees to protect their hives. Although beeswax has been used for thousands of years with all sorts of uses from candle-making to burn care, there are not a lot of studies about its unique and exceptional properties. We know it is water-repellent, anti-microbial (stopping some bacteria from growing), and never goes bad. Think about it! That’s rather amazing right there. You can buy beeswax in blocks (often 1 lb or .5 kg), pastilles, or pellets. The larger the pieces, the slower it melts in the double-boiler, but the blocks are usually less expensive than the pastilles and pellets. I use blocks of beeswax and shred it in a cheese grater (dedicated to crafting). Also, the color of beeswax can vary greatly depending on food sources (for the bees) and if the wax has been purified, but this is not an issue so long as you do not use white fabric (which can make the wax look slightly tainted or dirty). A reasonable price is $5-12 US per pound (16 ounces / 450 grams) for beeswax in block form. Pastilles are more expensive but can be worth it if you don’t want to grate it yourself. You can make approximately one yard or meter of wraps with 4 ounces / 113 grams. Beeswax Scientific Studies | Excellent overview of studies about beeswax and other bee products. Pine resin (also called colophony or pitch) gives beeswax wraps a slightly tacky texture, allowing them to cling to bowls or stay closed when wrapping food. You can make wraps without it, but they won’t really stay wrapped, which defeats the purpose. There are numerous other resin and tree gum products (e.g. 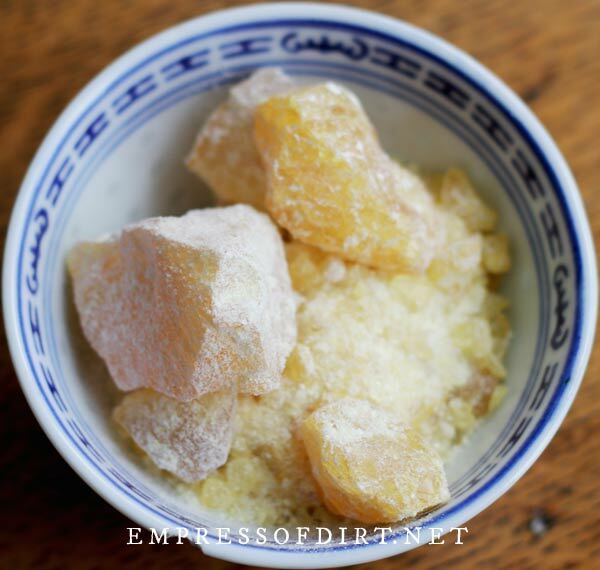 damar tree gum)—some which may or may not be suitable for wraps, and rosins (the stuff used to make violin string easier to grip) which contain dangerous metals. If you choose to use something other than pine resin, do your homework first. Look up to confirm it is food-safe, find out the safe heating temperatures, the expected melting point (must be compatible with beeswax), and any necessary safety precautions. Some resins are notoriously difficult to melt (taking hours instead of minutes), so I just stick with food-safe pine resin. Pine resin is the same stuff that oozes from pine trees and completely mucked up your hands if you were a tree-climbing kid like I was. Fortunately, the stuff you buy is in a dry form (usually chunks and bits). 32 pages in PDF format for any device. When purchasing pine resin, check that it is rated food-safe and is in fairly small pieces (the size of dimes) for easier melting. The food-safe rating does not mean it is edible but that it is deemed safe to come in contact with foods we eat. Resin in powder form is not recommended because of the possibility of inhaling the dust, although most will come with some resin dust in the container. You can wear a mask if this is a concern. It does not have any foul odor. Some people object to the use of pine resin because it releases toxic fumes when heated beyond 200°C or more (392°F). But, the melting point is just 70-80°C (158°F – 176°F), which keeps it well below the fumes stage for this use. Another possible issue is allergies or sensitivities to pine. I am one of those people who breaks out in a rash when I touch pine tree needles and resin . You will have to decide for yourself if you think you might have any issue with it. My sensitivity does not stop me from using it in beeswax wraps because, once combined with the beeswax and oil, it does not seem to have any effect on my skin. Last, on a practical note, resin quality or properties can really vary. Some melts easily in a double-boiler. Others say they get pieces that just will not melt. It can help to start with small bits (you can put it in a bag and smash it with a hammer) and dissolve them in melted beeswax for more surface heat, but, even then, don’t be surprised if you get some that is really stubborn. I would just remove those bits and carry on. Just be careful to watch the temperature (with a candy thermometer) and keep it below 85°C (185°F) so it can melt without discoloring the beeswax and not become excessively hot for brushing onto the fabric. Pine Resin Sources | Buy 100% pure pine resin (not rosin) online or from a local art shop. The product should be rated food-safe. Make sure you are getting the quantity you need: to coat approximately one yard or meter of thin cotton fabric, you’ll need 2 ounces (56 grams). Prices vary wildly and I think some sellers are totally taking advantage of the beeswax wrap craze. I pay $14.95 US for 500 grams plus shipping. A plant-based, natural, long-lasting oil can be added to the recipe to make the beeswax wrap softer or more pliable and help prevent the dried beeswax mixture from cracking. Common cooking oils that go rancid are not recommended. Fractionated coconut oil | This type is liquid at room temperature and longer lasting. Which oil you choose will depend on your budget, the properties of the oil, and any ethical concerns you may have about the production of the oil itself. Each one will give the slightly different end result (how the wrap feels). 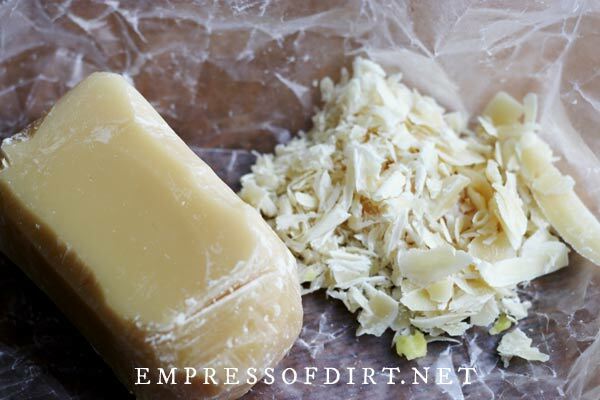 If you happen to be a soap maker (my favourite homemade soap recipe is here), many of the same oils used for soaps are suitable for the wraps. I use sweet almond oil for both. Whatever oil you choose, you want one that remains stable both at room temperature and when heated with the beeswax and resin. And do not be lured by fancy bottles and questionable health claims: so long as the oil you buy is 100% pure and suitable for the project, it’s fine. You can get perfectly good oil in a plain, boring container! The basic recipe (below) uses 1 yard or meter of fabric, but you may want to have double that amount of fabric for the finishing process (where we make use of excess beeswax mixture and make additional wraps from it). Alternately you can use 1 yard or meter of good fabric and an old bedsheet or something similar for the last step. For your wraps, any fairly thin, good quality fabric—new or recycled—made from natural materials will work. I know ‘fairly thin’ and ‘good quality’ might not sound like they go together, but they do. Good quality quilt fabric is an example. Super cheap, scratchy bedsheet material would not be a good choice. Also, avoid silks, and synthetics or mixed blends because they may melt in the hot wax or ironing stage. Thicker fabrics can make the wrap too thick to bend nicely. Choose something with some colour and pattern. White backgrounds or white pattern details can look dirty due to the yellow-tone of the beeswax. Besides prints from my quilt stash, I use my own hand-dyed cotton fabrics (you can get the DIY fabric-dyeing instructions here). You might also look through old, favorite clothes or bed sheets, or check out fat quarters at a fabric or quilt shop. The recipe below provides enough of the beeswax mixture to coat approximately one yard or meter of fabric total. To determine what size your wraps should be, first decide what you want to use them for and test out sample sizes on the food items or containers you will be wrapping. I’ve provided tips on cutting the fabric below. and not ever reused for food preparation. There are a few ways to make wraps. My preference is to melt the beeswax mixture in a double boiler, and then apply it to the fabric with a paint brush. All of the supplies should be dedicated to crafts, not reused for cooking. I get most of my supplies at thrift shops. If your cooking pots have seen better days, you could get new ones for the kitchen and dedicate the old ones to crafts. Drop cloth to catch any drips (beeswax is not always easy to remove). Crafting clothes / apron / stuff you don’t mind getting wax on. Tongs for picking up wraps while they are still warm/ hot. Washer and dryer (to preshrink fabric). Yard stick or long ruler for drawing cutting lines (optional). Pencil / washable fabric pen (to draw cutting lines). Compass or larger containers to use as templates for tracing. Sewing machine if you want to hem your fabric or create food pouches (instructions not provided). Beeswax blocks can be shredded with a cheese grater or paring knife. Pine resin may need to be placed in a bag and pounded with a hammer to get small, bits that melt more readily. Kitchen scale to measure ingredient amounts (in grams or ounces). Double-boiler or electric frying pan or crock pot with liner. I use a big old cooking pot and a crockpot crock (insert) for the wax mixture. Candy or digital meat thermometer. Stir stick (long-handled wooden or metal spoon). Silicone molds for saving any leftover mixture. Baking sheet(s) lined with parchment paper or silicone baking mats. Clothes pegs or binder clips are good for keeping the parchment in place. Tongs (optional-the wraps can be somewhat hot to handle). Paint brush (2” wide) for brushing on wax mixture. Avoid any brush material that could melt in the hot mixture. Extra fabric for more wraps (to make use of surplus mixture) or an old bed sheet. Wax paper and/or cooling racks or indoor clothesline & clothes pegs to hang wraps while drying. Drop cloth or wax paper to catch drips. When you are working with natural products, there will always be variations in the materials due to factors like genetics, the environment, and so on. This means that pine resin from one supplier may not behave the same as another, and so on. I mention this because it means you have to be willing to experiment a bit to find what works best with the materials you have. I’ve read dozens of wrap recipes and there are striking differences between them, specifically the ratios used for each ingredient, and how they worked for the recipe testers. I use 1-part resin to 2-parts beeswax, plus oil. Others say they can use as little as 1/5th that amount of resin and still get clingy wraps. Not me! So, keep your sense of humour, take notes as you work so you know what you did, and tweak (not twerk) if necessary. The time it takes to do each step is going to vary depending on how organized you are, if you have experience with things like cooking or painting, and the unique qualities of your materials. I have provided time estimates wherever possible. You do not have to do the entire project in one afternoon. You could, for example, prep the materials one day, and make the wraps on another day, and do the finishing steps on yet another day. Wash, machine dry (to preshrink), and iron your fabric. Cut fabric into desired sizes. As mentioned, it’s worthwhile to use some scrap fabric and test out the food items you will want to wrap. Try making a sandwich (or whatever) and wrapping it in fabric. The only difference with the wraps is, they will stick shut after your hands warm them up. Those test scraps can become your templates for cutting your good fabric. If you are marking the fabric, use a fine pencil or vanishing ink pen (from a sewing shop). The goal is not to have the marks visible in the end. For round bowls, I like about 2-3 inches overhang, so I use a larger bowl as a template. Turn it upside-down and trace around the lip. This will be your cutting line for a smaller bowl wrap. Large rectangular pans like lasagna pans are often not very tall and just need 2-inches of overhang. If you just want a basic multi-purpose wrap for packing lunches, 12×12 inches is a good size. Whether you need to hem the fabric depends entirely on whether it’s going to fray. Cut a small sample to test this. To hem it, you can use pinking shears, machine sew the edges, or just leave them as-is. The beeswax mixture will help seal the edges. You can also cut the wrap after it is coated if you need to tidy up any edges. Beeswax can be messy! And clean up is not always simple. There are solvents that remove it from some surfaces (see below), but they can also damage other surfaces and are not skin-friendly. It’s best to work as carefully as possible and keep the same tools and supplies (like brushes and the melting crock) for future beeswax projects so you don’t have to worry about removing all the wax. I highly recommend setting up your work area and then doing a walk through to determine exactly how you are going to do this. It’s not only tidier but it takes the stress out of it. With your fabric ready, you’re going to melt the wax mixture ingredients on a stove or hob, and then, while it’s still liquid (warm), brush it on your fabric pieces (on parchment-lined baking sheets). This part goes quickly, and, once covered, you remove the fabric from the baking sheet and place it to dry on a stick-free surface like wax or parchment paper or hang them on an indoor clothesline. It only takes minutes for the wax to cool. Protect work area with drop sheets. Set up double boiler. I use a large, heavy duty sauce pan (pot) as the bottom with about 2 inches of water in it, and a crock (from an old crockpot) inside. Whatever you use will end up with beeswax on it (for future crafting). Line baking sheet with parchment or baking mats. Hold in place with binder clips. For drying the wraps, cover cooling racks in wax paper or parchment paper, or use an indoor clothesline (and pegs) and place drop sheets below. Use a kitchen scale to measure the desired amounts of beeswax, pine resin, and oil. BEESWAX | If using a beeswax block, grate or chop the beeswax into small pieces like grated cheese if possible. Tip: It is sometimes easier to grate beeswax that has been chilled in the freezer. PINE RESIN | If your pine resin has large chunks, it may be worthwhile to place it in heavy duty bag and smash it with a hammer. Little bits will melt faster. Wear safety glasses and do not breathe in the dust. OIL | Measure your oil and have it ready to add after melting the beeswax and pine resin. The heating process can take about 20 minutes once the water is boiling unless you’ve got stubborn resin. Some people report it can take an hour or hours to melt but I’ve not experienced that, thankfully. You will heat the ingredients at temperatures high enough to melt them without getting the mixture so hot that it will discolour the beeswax or be too hot to brush onto the fabric. 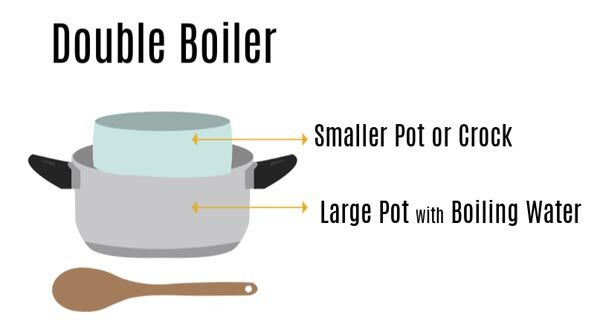 Add 2-inches of water to the bottom pot of the double boiler, set the crock or second pot inside, add the grated beeswax, and heat to approximately 70°C (158°F) and ideally not higher than 80°C (176°F). The beeswax will discolor at 85°C (185°F) and we want to avoid this but life as we know it will not end if you go a bit higher. Use your thermometer in the melted wax, not the boiling water, careful not to touch the thermometer tip to the pot or we’ll get a false reading. We just care what the wax temperature is. Add the resin to the melted beeswax and stir. Continue stirring until fully melted. The resin will sometimes look like grainy honey until it dissolves. And, as mentioned, some resin is slow to melt. Be patient. Keep stirring. And waiting. And stirring. And try to keep the temperature around 80°C (176°F). When the pine resin has completely dissolved, stir in oil and combine thoroughly. If there are bits of resin that will not melt, remove them and carry on. Your beeswax mixture is now ready to be applied to the fabric. Turn off your stove / heat source and get ready to paint the wax mixture onto the fabric pieces. If you can work near the stove or hob—great—since you may need to reheat the mixture if it gets too cool and starts to harden while you are working. We’re going to paint the mixture onto the fabric (lightly), let it dry (takes minutes), and then finish it with the iron (which will fix any imperfections). Place a piece of fabric on the parchment-lined baking sheet. Dip your brush in the beeswax mixture and brush onto fabric. Keep your brush strokes in one direction (working with the grain of the fabric) and apply as lightly as you can. Do not double brush any areas as once is enough unless there are dry / missed spots. Be sure to cover all the edges: this will help prevent fraying. When coated, turn over the fabric and apply to other side if needed. Some fabric is very absorbent and will already be coated from it soaking through, others will need to be touched up. When done, hang up fabric on clothesline or place on cooling rack. Use tongs if the wrap is too hot to handle. Away from heat, beeswax dries and hardens quite quickly. Continue applying mixture to all of your fabric pieces. If you run out of wax before you’re done, the next step (Finishing the Wraps) may solve this problem. If you have leftover wax, it can be kept for future use by pouring it into silicone molds (see below). Do this right away while it is still liquid and before it hardens. Any leftover beeswax mixture can be poured into small silicone molds. It will harden at room temperature. Save it for future wraps or refreshing the ones you have. You can do this step on the same day or hold off until you have more time on another day. When the wraps have dried (this just takes a few minutes), it’s time to adjust the amount of wax covering them. The brushing process sometimes adds too much wax (and the wrap is too stiff), or, we miss some spots that need touching up. There could also be small amounts of unmelted ingredients. Some people like to start this process by putting the wraps in the oven, but I find that is not necessary. Sandwich the wrap between extra fabric and parchment paper next to the iron and ironing board. These extra fabric pieces are going to soak up the excess wax mixture and can become new wraps, or you can just use an old bedsheet or other unwanted fabric. This step can take a few tries to get just right. If I don’t need to remove a lot of wax, I may just use one sheet of extra fabric and just have parchment on the other side. Heat iron on dry (not steam) cotton setting. Start by applying heat briefly (3-6 seconds max to press the entire wrap) and check to see if more is needed. Too little and the wrap will still be unevenly coated. Too long causes too much of the wax mixture to leave the wrap and you’ll want to brush more on. As you press, you will see the top parchment paper change in appearance as excess (melted) beeswax mixture seeps out into the extra fabric piece(s). Be sure to heat the entire surface of your wrap for even distribution. When you’re happy with it, hang up the wrap (or lay it down) to dry. Repeat for all your wraps. Leave them to cure for a few days and then they are ready to use. Or sneak and try one out now! Lumps: If there’s a chunk of beeswax on your wrap, you can melt it by applying a hairdryer or sandwiching it between parchment and applying a hot iron (briefly). Some people even-out the coating on their wraps by placing them in a low oven at 76°C or 170°F for 5 minutes. This works if the coating is uneven but not too thick. Coating Too Thin / Not Clingy: If the beeswax coating is too thin, reheat your ingredients and brush more on. Coating Too Thick / Hard to Fold: Use the Finishing Method to remove excess wax mixture. Using beeswax wraps is different than plastic cling wrap: it’s the warmth of your hands that makes them work, so take a moment to let them meld. If you’re a nerdy numbers person like me, keep track of how many times you use your wraps instead of single-use plastics. It’s a noble cause! I know this will sound silly to some and pleasing to others, but one aspect of using beeswax wraps that I really enjoy is coming up with folding ideas. It can be like gift wrapping and origami all in one. You can keep it simple and wrap up that sandwich nice and snug or take a moment and come up with new folding techniques. Long wraps are good for rolling up several different food items all in one. Add one, roll a bit, add another, roll a bit…. I like to slow down for everyday tasks like this to make them more meditative and enjoyable. 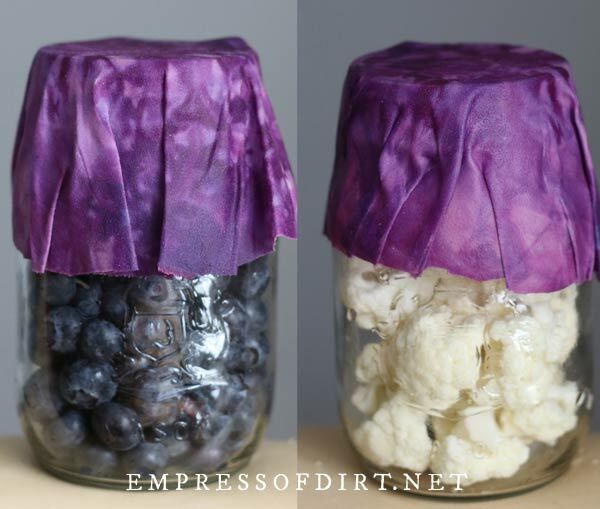 I use my wraps both for covering mason jars, bowls, plates, and casserole dishes. To add the wrap, first fold in half, then lengthwise to identify the center point. Center it over the container and press the overhang down the sides, using your hands to warm it in place. It’s easiest to make the wraps cling on round, smaller containers. It’s still possible on larger containers but takes longer to warm more real estate (with your hands) and make it cling. Also, it’s not illegal to add string or elastic bands to seal the deal. The newer the wrap, the more likely it is to leave some wax residue on the sides of containers. While plant-based oils won’t remove beeswax from other surfaces, they can sometimes make it slide off glass. You can do this before washing the container, or just live with it. Beeswax is not water soluble and cannot be removed with soap and/or water or other products except specific solvents on many surfaces. Beeswax is removed with mineral spirits (white spirit in the UK) which is a solvent (dissolves it). Turpentine also works but it is a bit harsher. Both are petroleum products. Mineral spirits will remove beeswax from things like metal pots and cutlery. After application, allow it to dissolve/soften the beeswax, and then remove it with a cloth. Mineral spirits can damage wood, so they are not a good choice for removing beeswax from wood. In some cases, a hairdryer is the best option. Heat the unwanted wax by aiming a hairdryer on it until it softens or melts, and then wipe it away. For skin, washing your hands with an oil (olive oil, cooking oil, coconut oil) will help loosen it and it will go away with time. You will feel some wax residue on your hands each time you use the wraps. That’s life. And a small price to pay for going plastic-free. If you’ve got a drop or glob of beeswax on your clothing or other fabric, you can try putting the item in the freezer (but not while you’re wearing it 🙂 ). Once frozen, the beeswax may crack or peel off. With use, your wraps may gradually become a bit limp or lacklustre. You can freshen them up by applying a new coating of the wax mixture. If you saved leftovers in silicone molds, just grate them, melt them in a double boiler, and brush it on. 1. 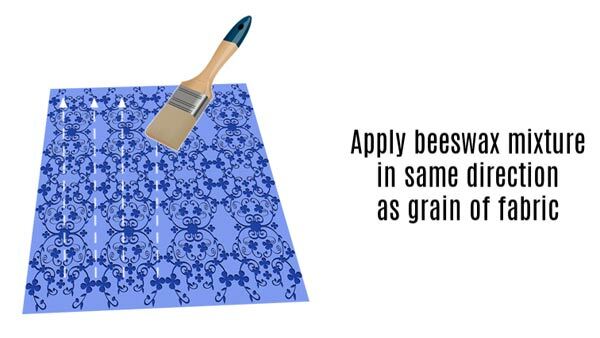 How do you wash and care for beeswax wraps? Avoid exposure to heat sources (oven, microwave, radiators, hot sun, hot dishes or foods). Do not submerge in water or clean in dishwasher. Wash with damp cloth in room temperature or cool water and mild dish soap/detergent. 2. How to you store beeswax wraps? Store flat in cabinet or roll around paper towel or wrapping paper rolls. Cover with a tea towel to prevent dust. 3. Are beeswax wraps vegan? If you consider bees to be animals, and beeswax to be an animal product, and your veganism excludes use of animal products, then no, they are not vegan. There are alternate recipes online for similar wraps made from other waxes and materials. 4. 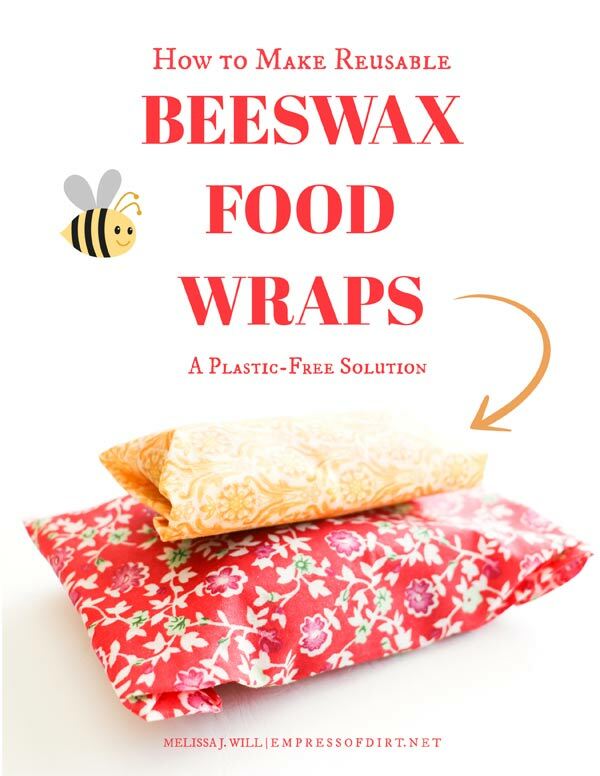 Can you use beeswax wraps in the freezer? Yes and no. I know some people do and say it’s fine. I find it makes the wrap harden which can cause the wax to crack. They do soften up again when returned to room temperature though. 5. Do beeswax wraps go bad/off? No. But the coating does wear off over time and will need refreshing at some point. 6. Are beeswax wraps compostable? Sort of. It depends on the fabric used. If it’s a natural fabric that decomposes, then yes, but, the wax isn’t going to decompose (beeswax lasts forever), so I wouldn’t put them in my compost pile. I would, however, bury them in the ground and allow them to decompose there. 7. Does beeswax have antibacterial properties? Yes. There’s not a ton of research on beeswax but this is something we know: beeswax definitely has antibacterial / antimicrobial properties. It also has beneficial properties for skin issues including cracked heels and burns and numerous other applications that I hope will be further researched. 8. Where can I buy beeswax wraps? You can buy beeswax wraps from independent makers online, at local shops that carry speciality products like this, on Etsy and Amazon, and other stores as well. Before long I am sure they will be mass-produced in China and show up in Walmart if they are not there already. Check the sizes carefully to be sure they’ll fit your intended use for them. If shopping in-person, feel them to be sure they are slightly sticky/clingy. Read the ingredients to be sure there is nothing odd or anything you could be allergic to. Choose fabrics you love so you’ll want to use them. These videos show a similar method for making wraps, plus other beeswax projects. Hi. This is awesome. As a Girl Scout for about 50 years I always want, need, try to find earth friendly ideas for every day things. Look forward to trying these and making some for our 2 grandsons. I shared it in Facebook. Very nice way to stop using plastic wrap. I’ll be trying this out soon! Thanks for the info. Thank you so much for this information! I have beeswax already, and the pine resin and oil is shipped and arriving Thursday. My girlfriend and I will be making them very soon. Love your newsletter. Great! I’d love to hear how it goes. And thanks! Thanks so much for this wonderful guide. I bought some on Amazon but the sizes are not what I needed. I love making my own. Beeswax craft – phenomenal video -after visiting Hawaii and seeing the wax wraps in use, I wanted to know how. I recently visited dolphin and turtle rescue facilities in Florida and plastic is a huge issue in our oceans. Anything we can do to eliminate our usage needs to be done. I can’t say enough about the damage to our wildlife, ecology and lifestyle. Thank you for sharing!